Day 1. Your welcome to the farm and briefing on activities. 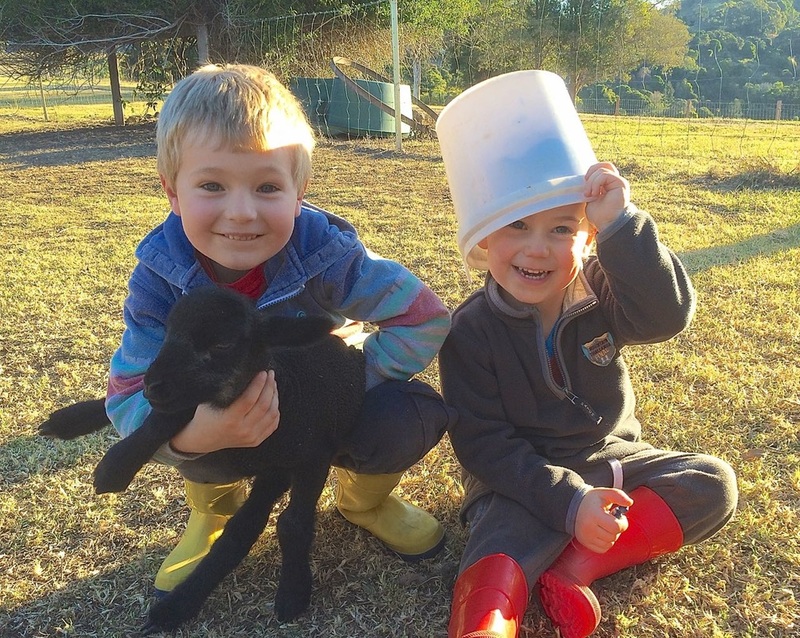 Time to begin exploring with a walk to the hilltop or out to Widgee Valley, fly a kite, play lawn games and then return to your cottage for Sunset drinks followed by Dinner and stories around the fireplace. 10am: Dairy Farm Tour. A personal tour of a working dairy farm to see where our milk comes from. 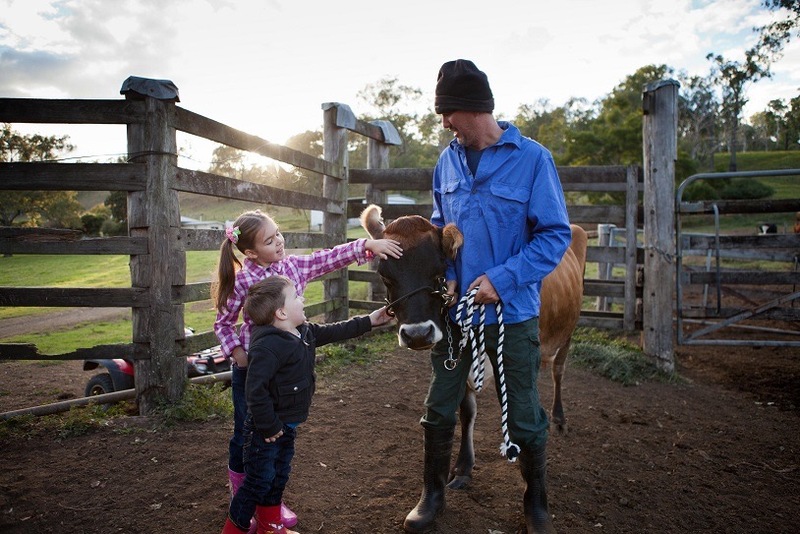 View the milking process, talk to the farmer and purchase local milk, cheese and yoghurt. 12pm: Off to the old stone Hut Picnic area for a picnic by the creek. A fantastic opportunity to explore over the footbridge, find precious rocks, fish for Bass and Cod, Swim, play cricket or soccer or just relax and just enjoy the space and freedom of this magical place! 2:30pm: Take a walk around the farm or find a quiet spot to contemplate the views or read a book. 4pm: Make sure you are back in time for Animal Feeding with our cute sheep - always a big highlight! 7pm: Your Outdoor Campfire under the Milky Way and Stars. Our Mountains provide perfect conditions for star gazing - blocking out external light from the cities. Day 3. 9:45am: Kayaking on our own Private Stretch of the Albert River. 11:30am: Time to walk to the Lost World rainforest Rockpool - pack a picnic lunch. Hike is 25 - 35 minutes each way. Alternately take the scenic drive to Christmas Creek along rainforest shrouded roads (25 minutes). Explore the National park or stop in at the Christmas Creek Cafe for a bite or a coffee. 2pm: Aussie Wildlife Encounter! Get up close and personal with crocs, snakes, koalas and a range of amazing Australian wildlife in an exclusive private experience like no other! 4pm: Wild Bird Feeding: Parrots, Rosellas and Lorikeets will fly down and eat right from your hand. This is a free activity. 10am: Checkout and head to Tamborine Mountain for more fun on your way home!